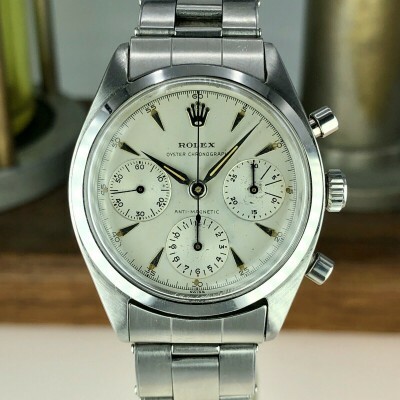 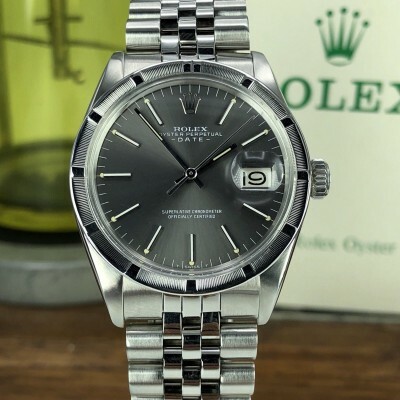 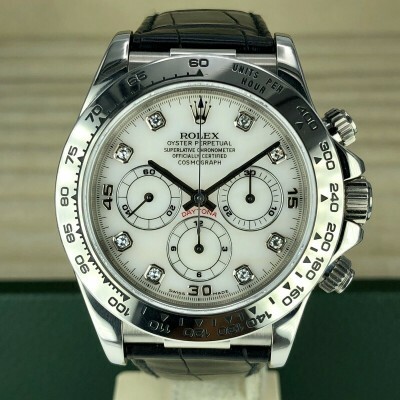 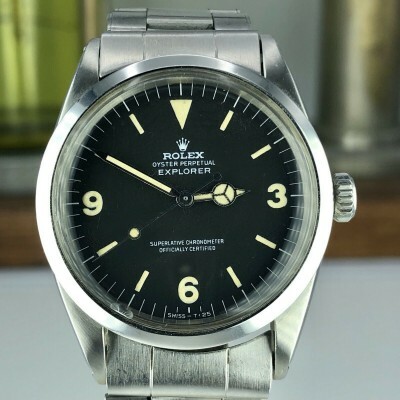 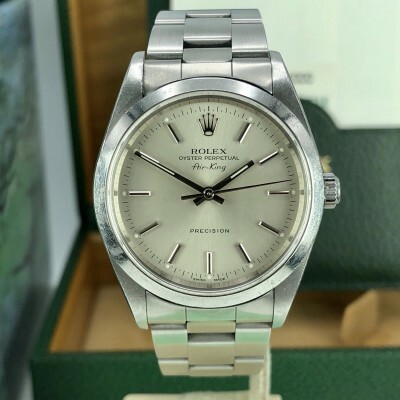 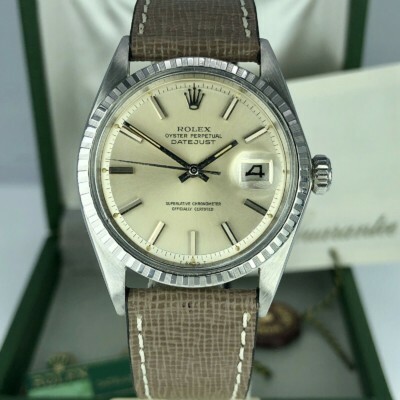 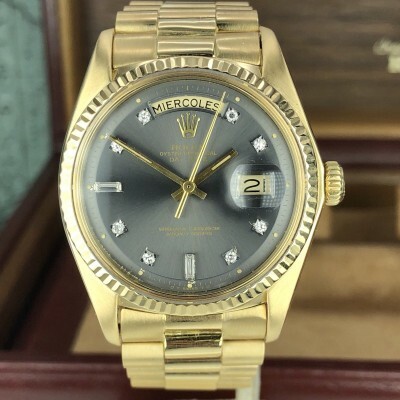 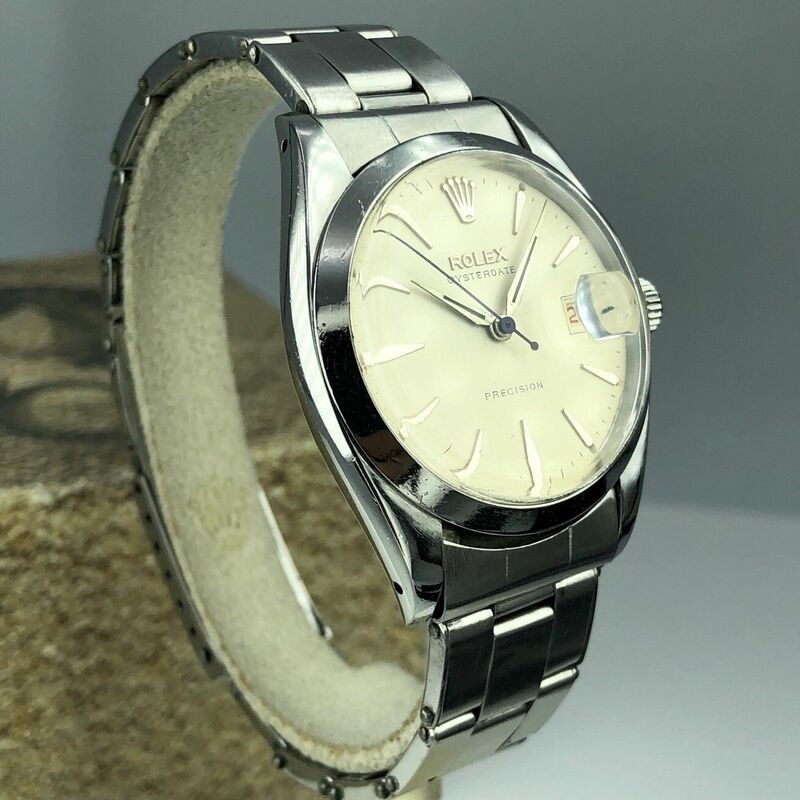 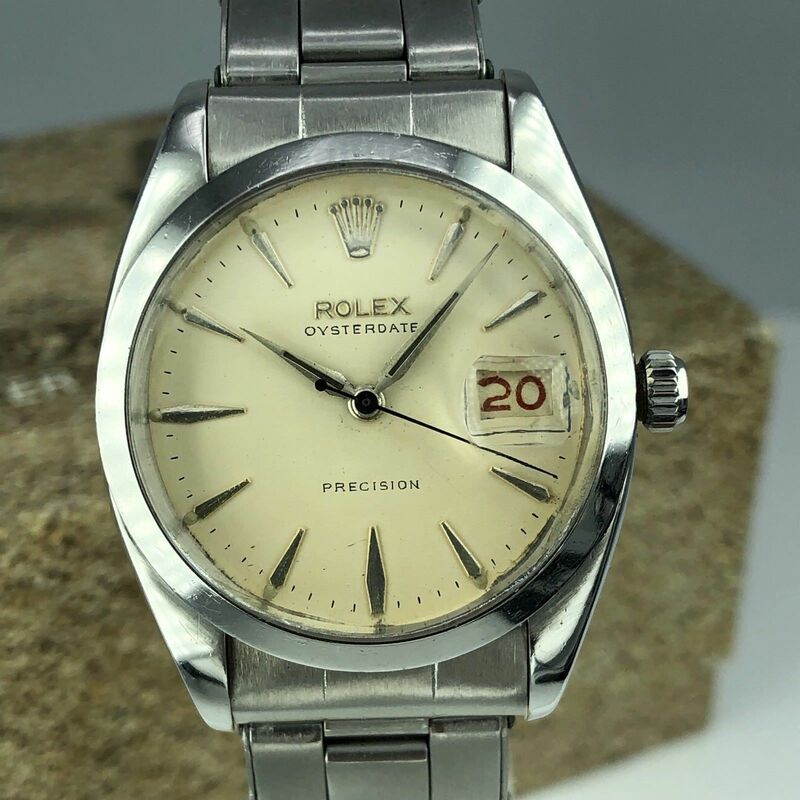 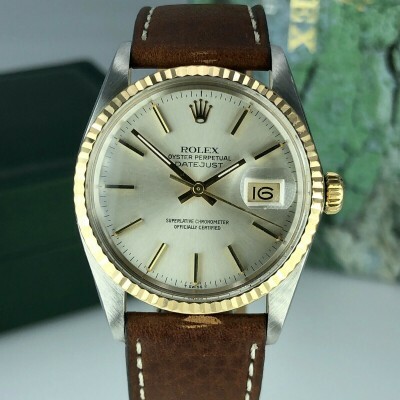 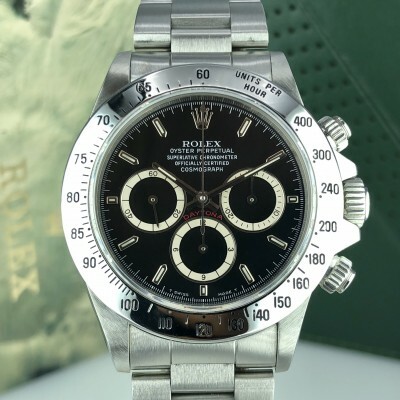 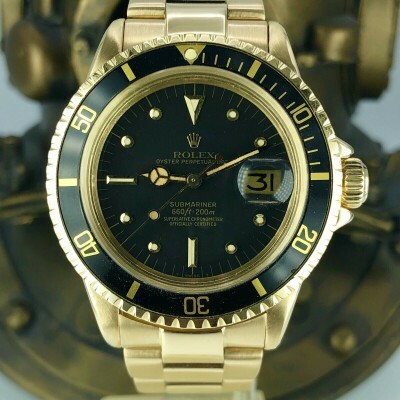 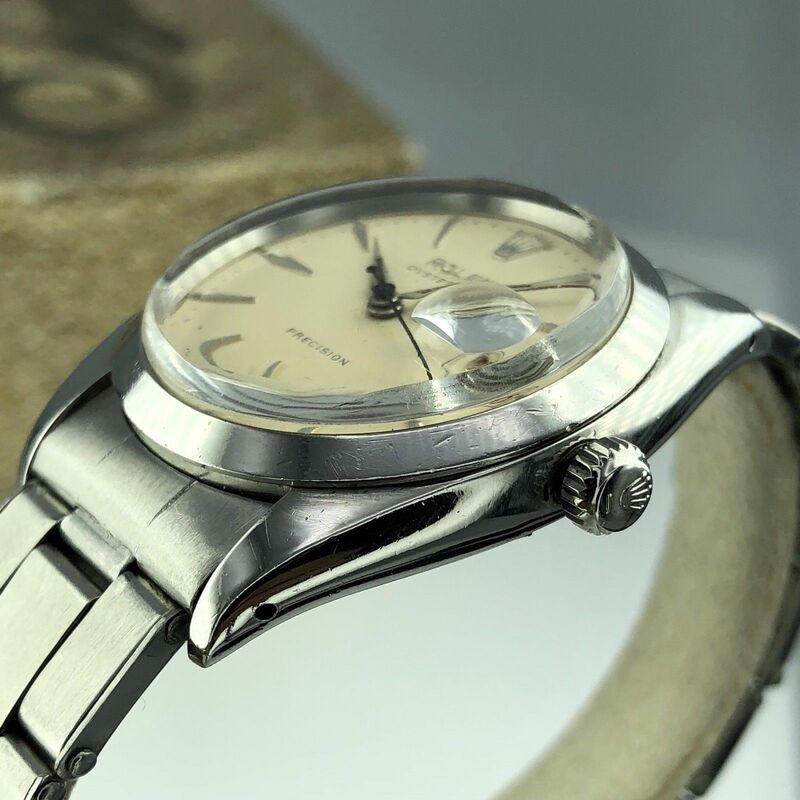 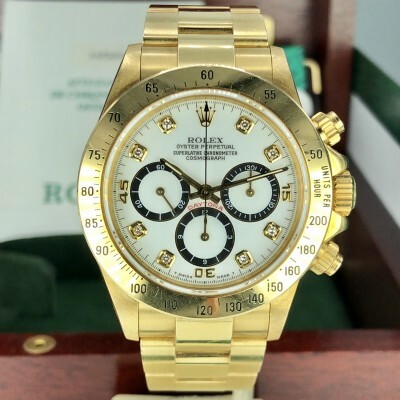 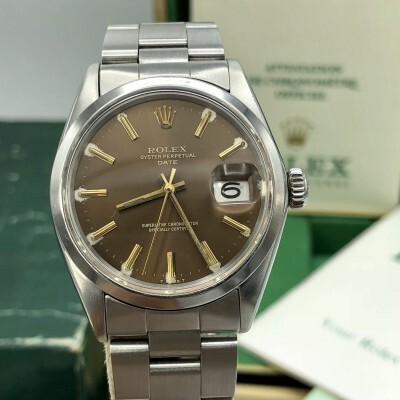 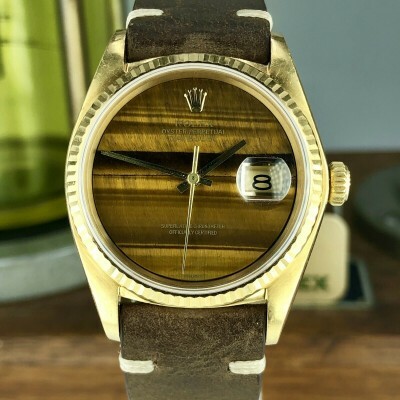 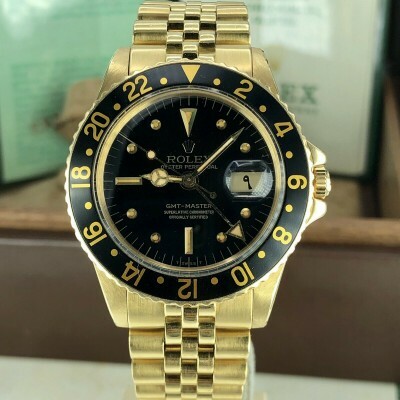 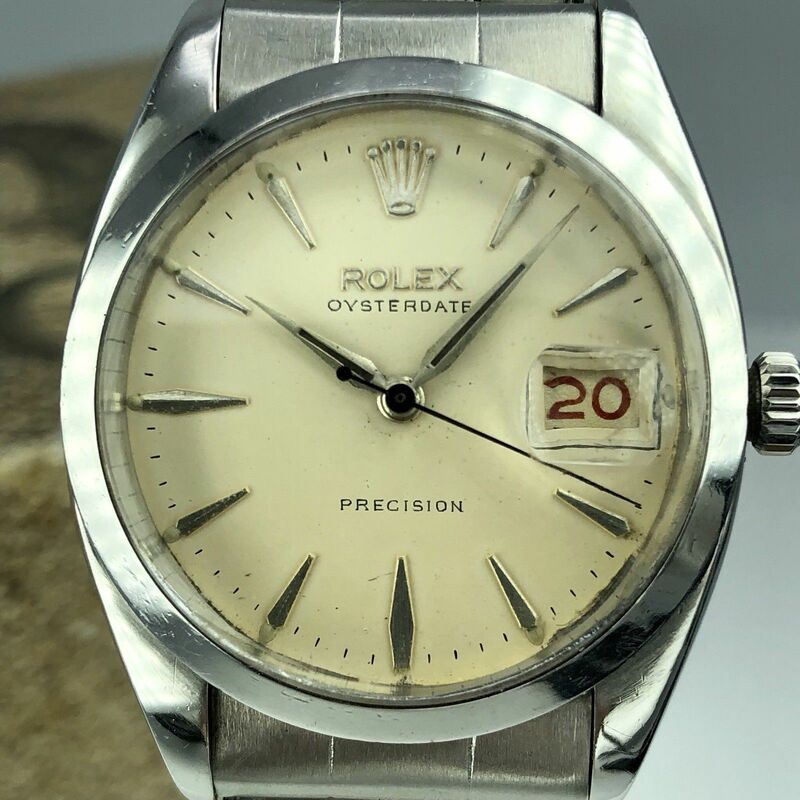 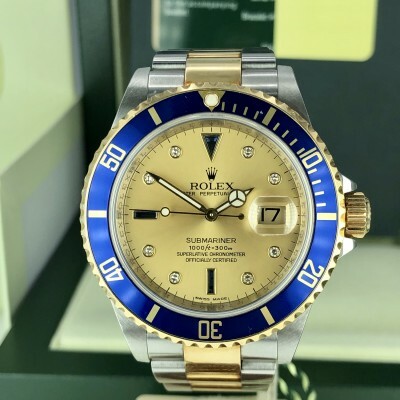 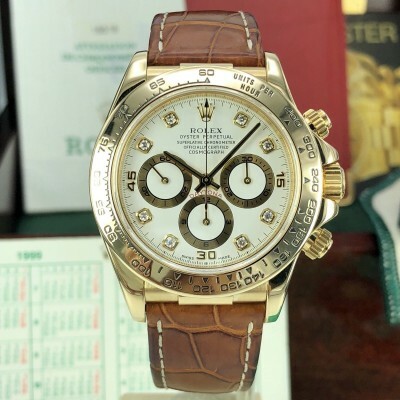 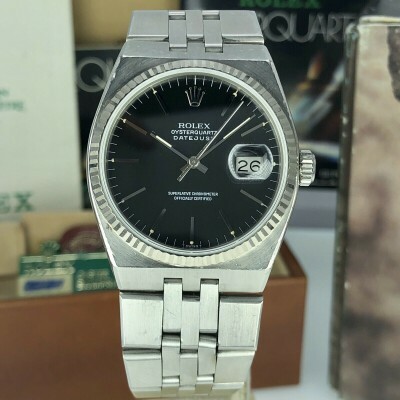 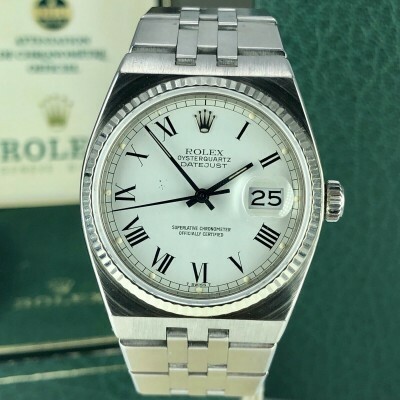 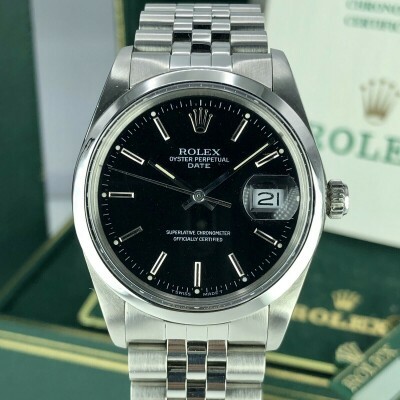 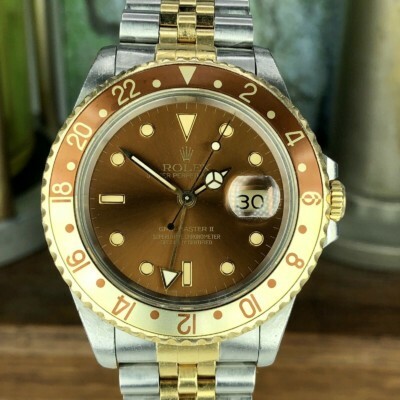 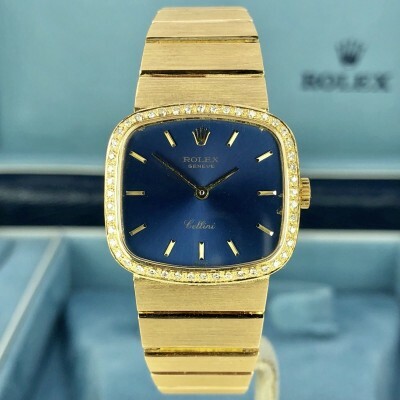 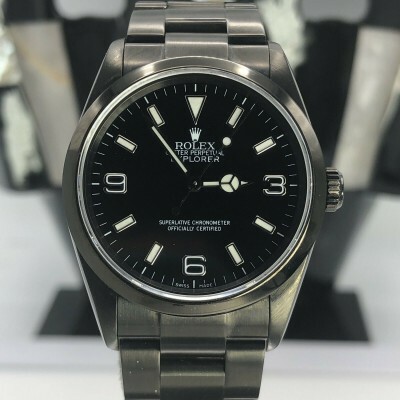 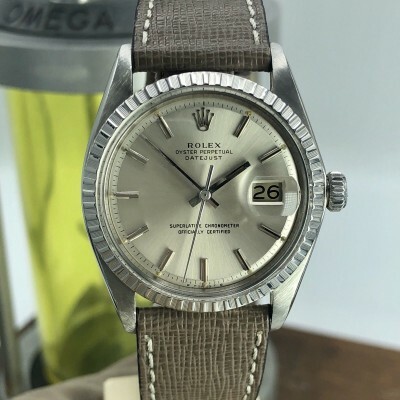 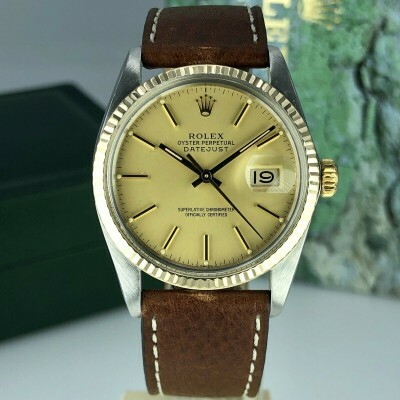 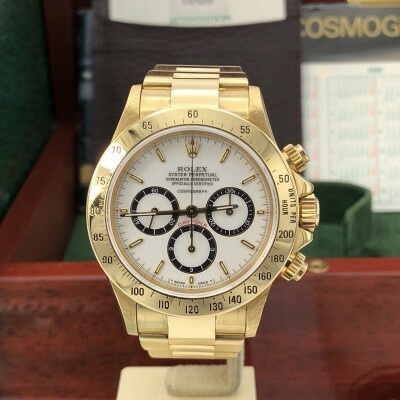 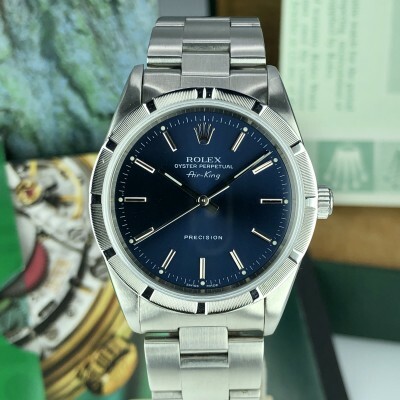 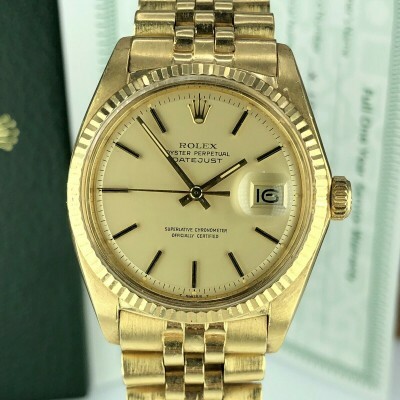 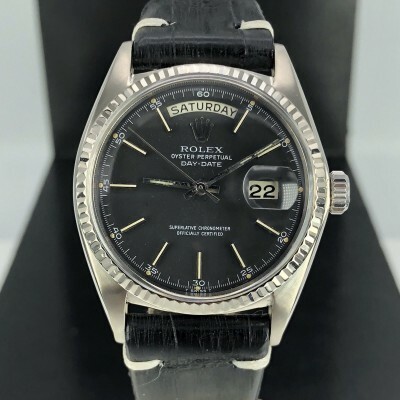 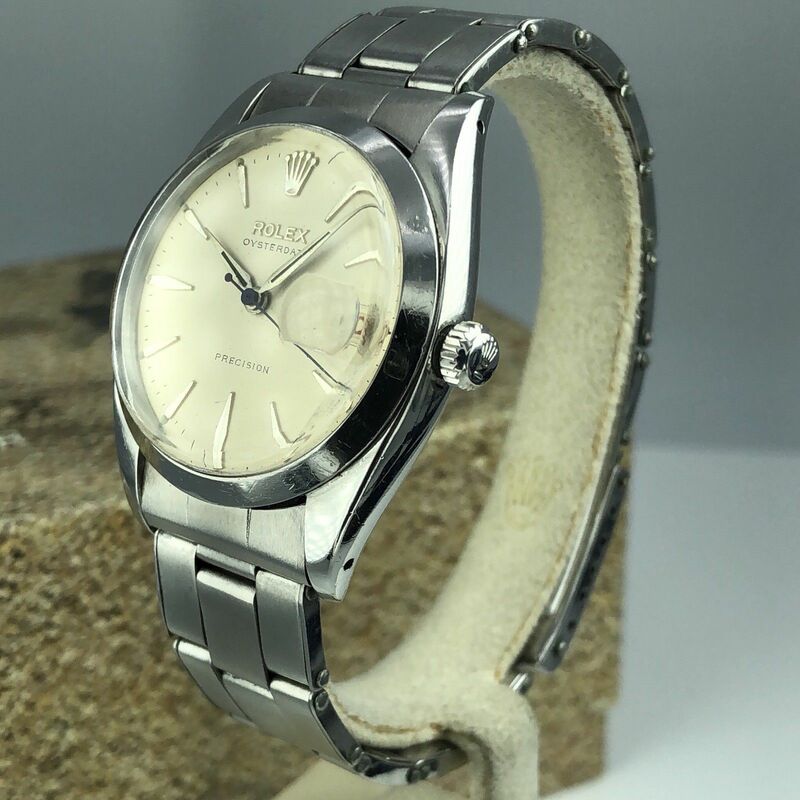 Rolex Oysterdate precision 6694. 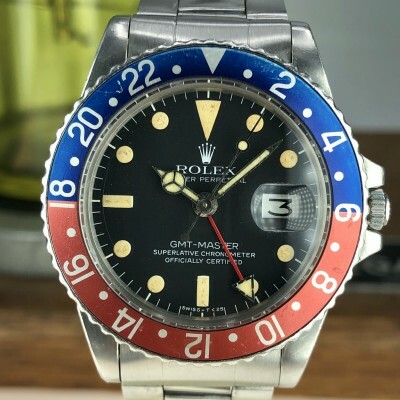 From 1960. date wheel has red color numbers. 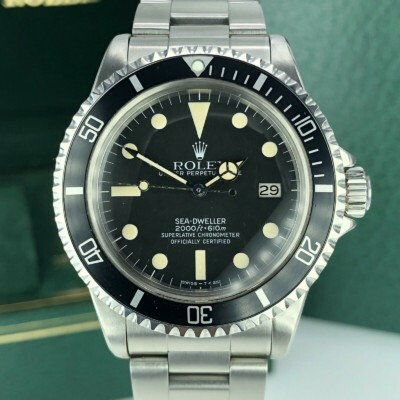 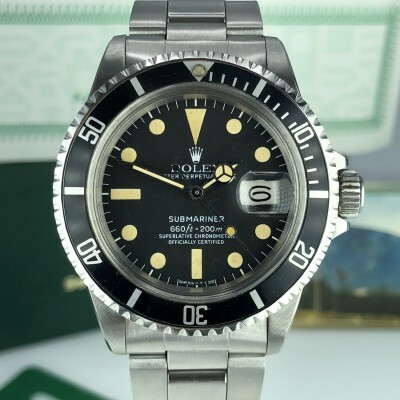 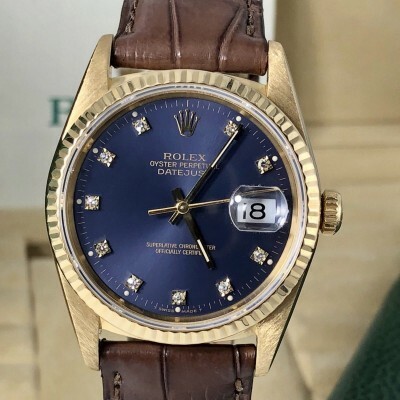 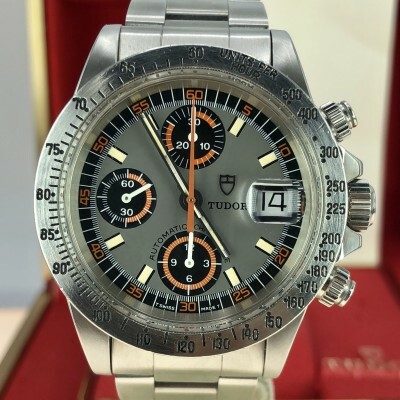 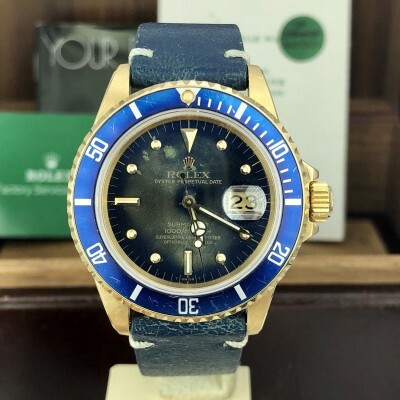 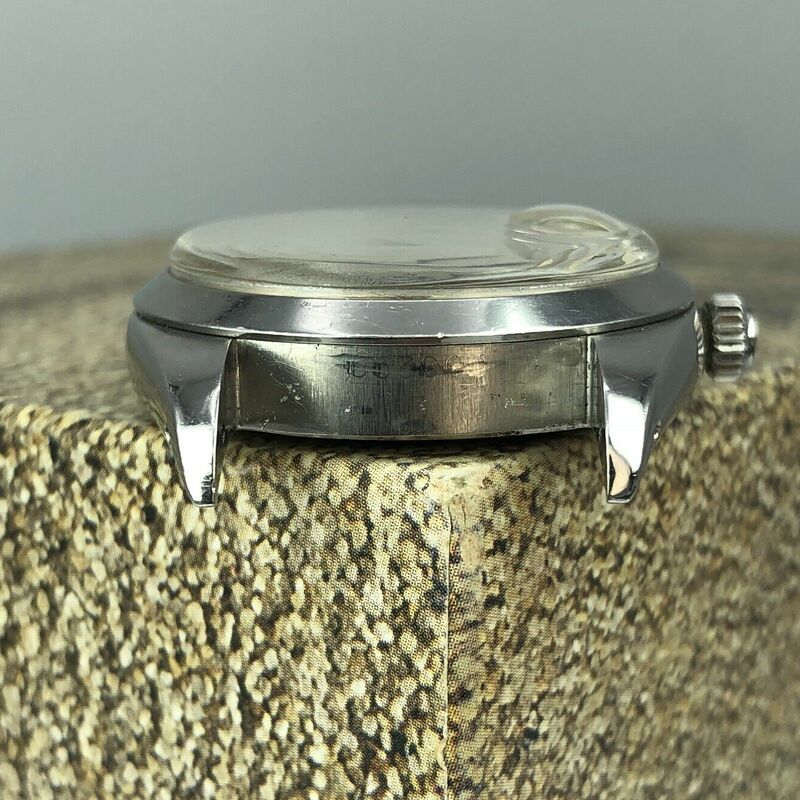 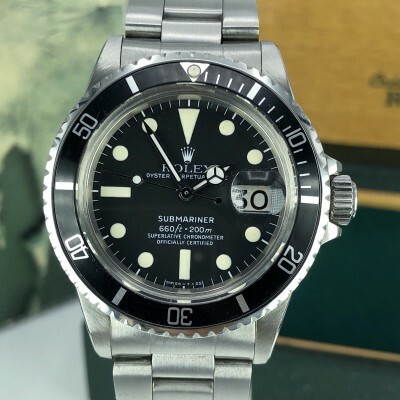 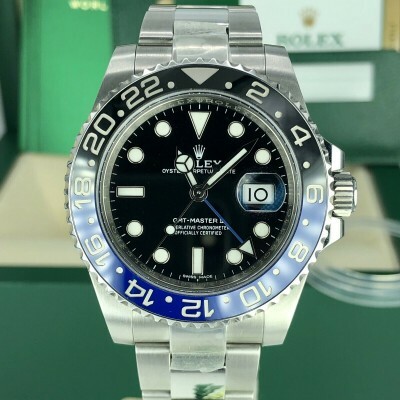 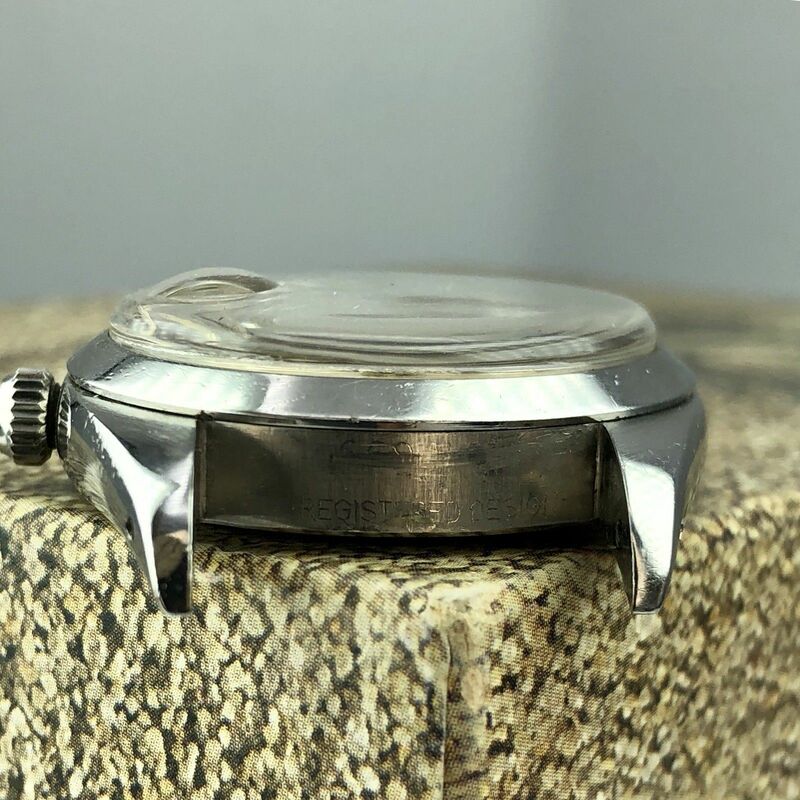 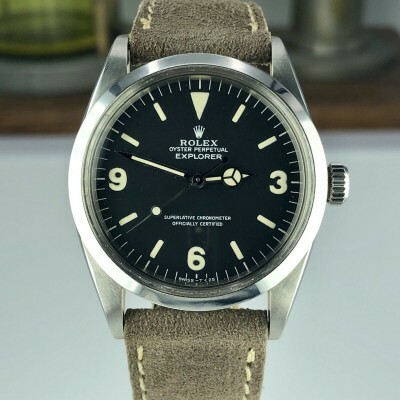 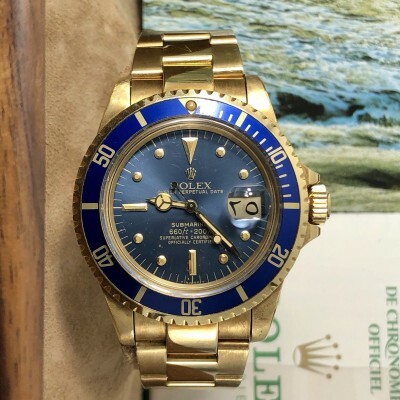 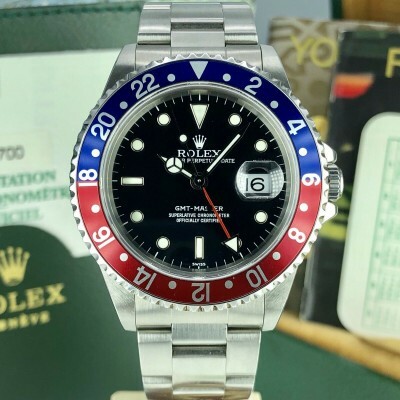 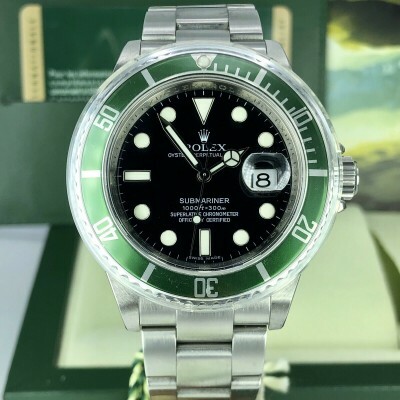 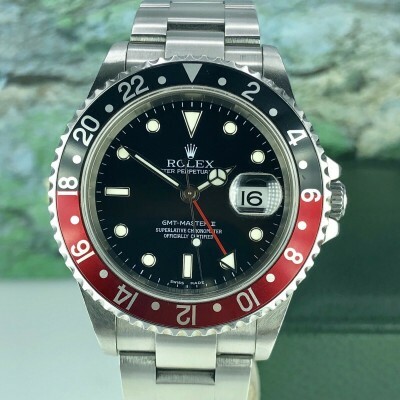 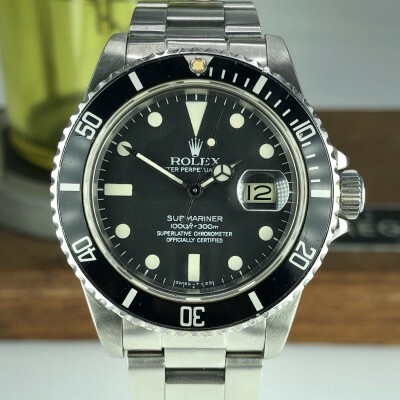 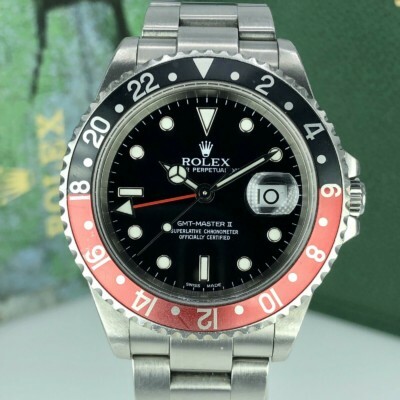 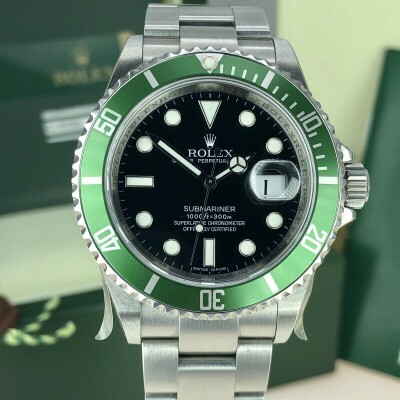 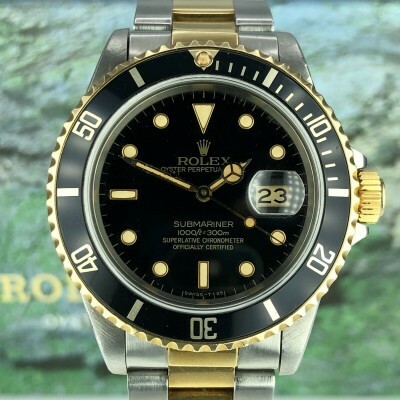 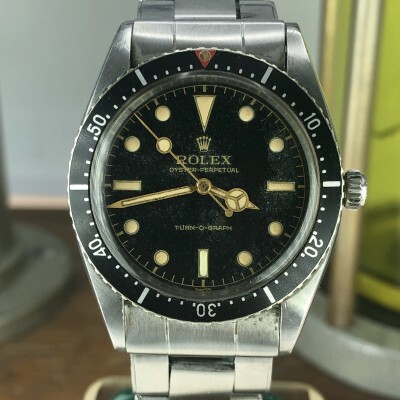 Serial number in 6XXXXX , 34mm without the crown, the serial and model numbers are hard to see, Very Good case. 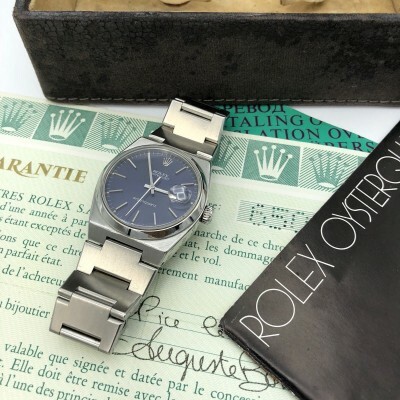 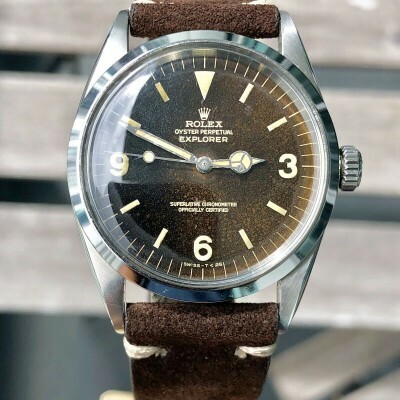 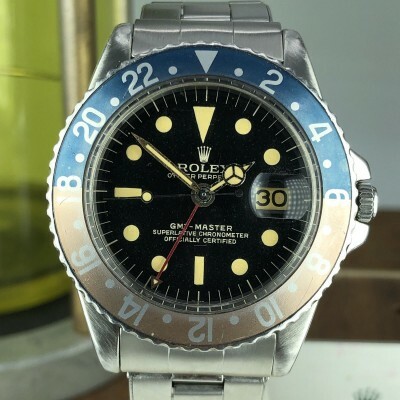 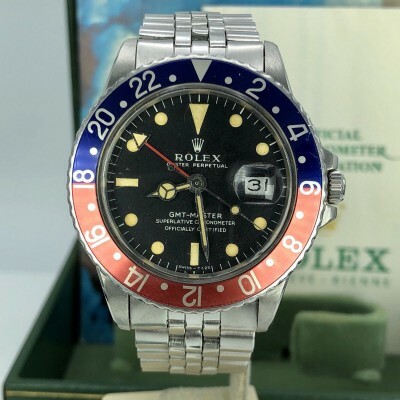 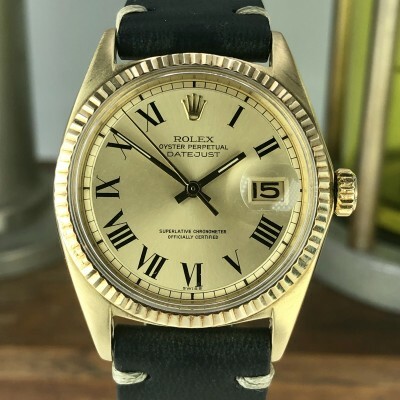 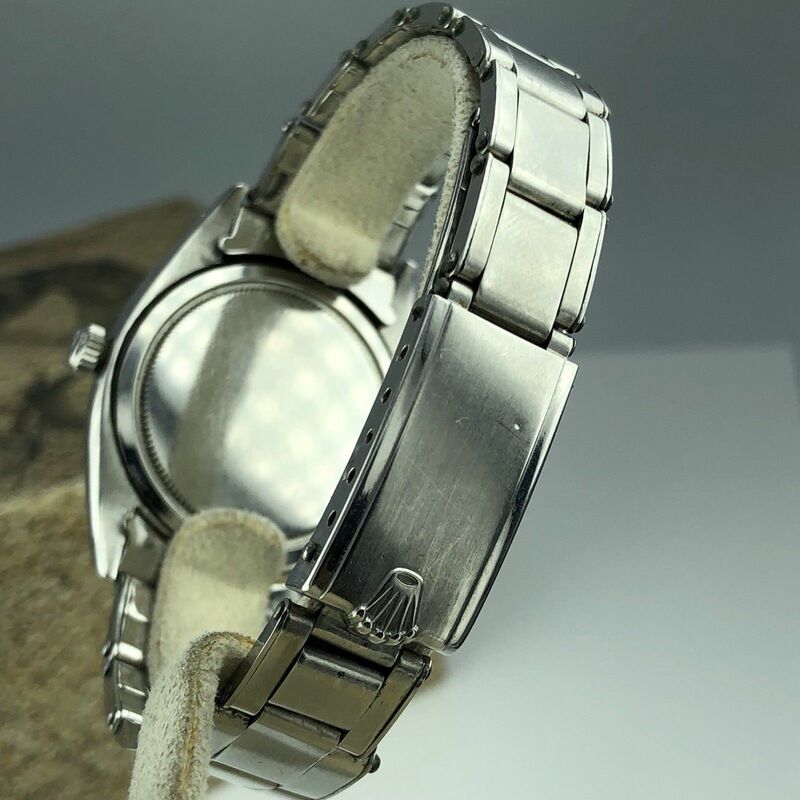 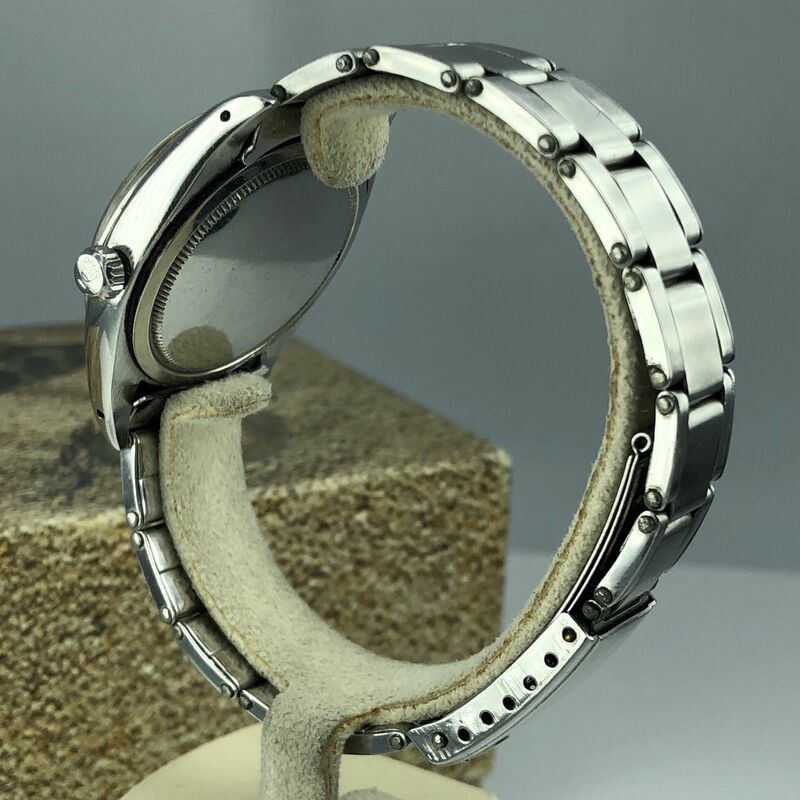 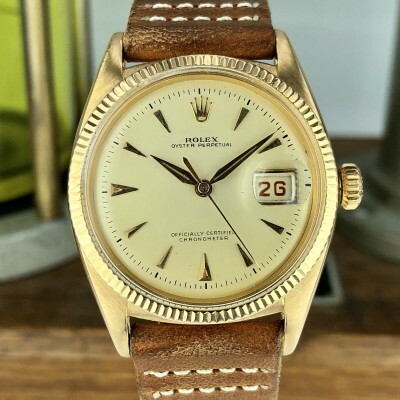 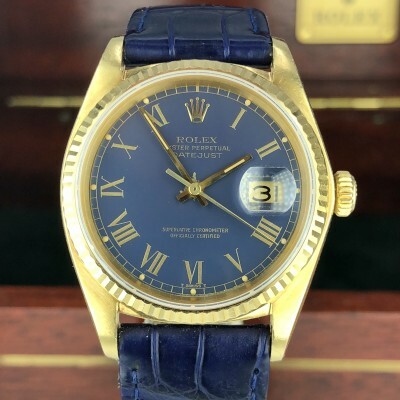 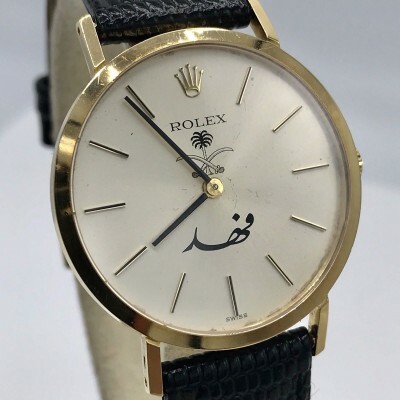 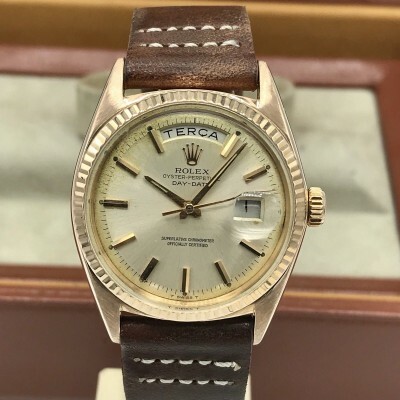 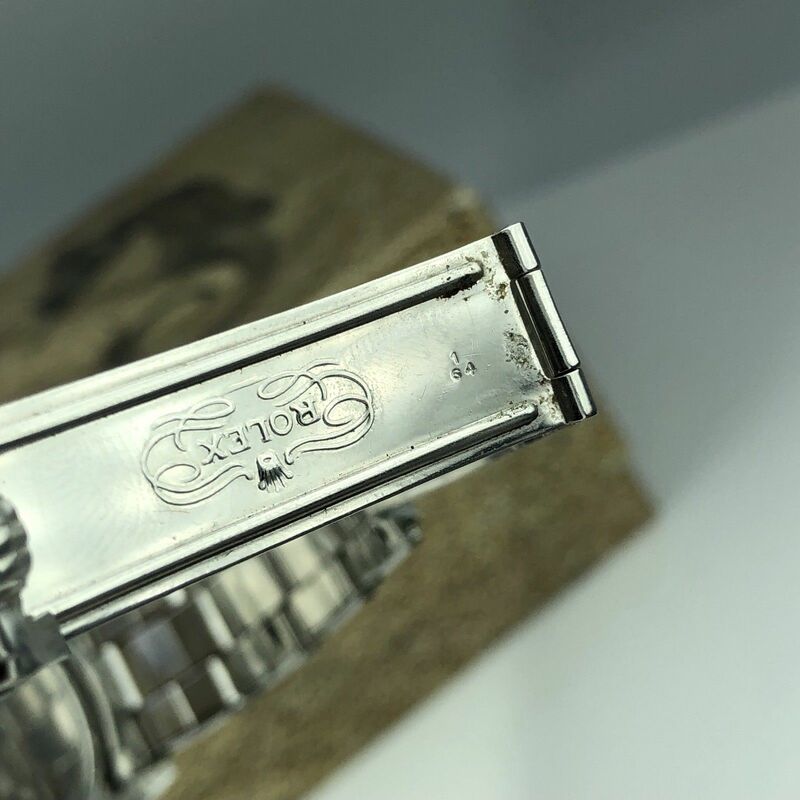 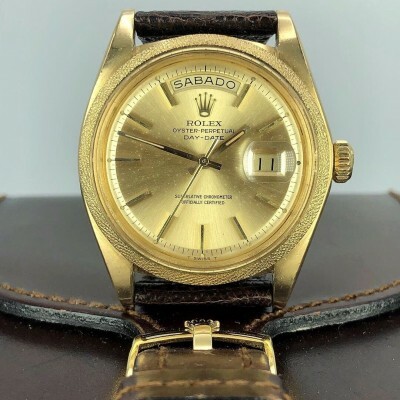 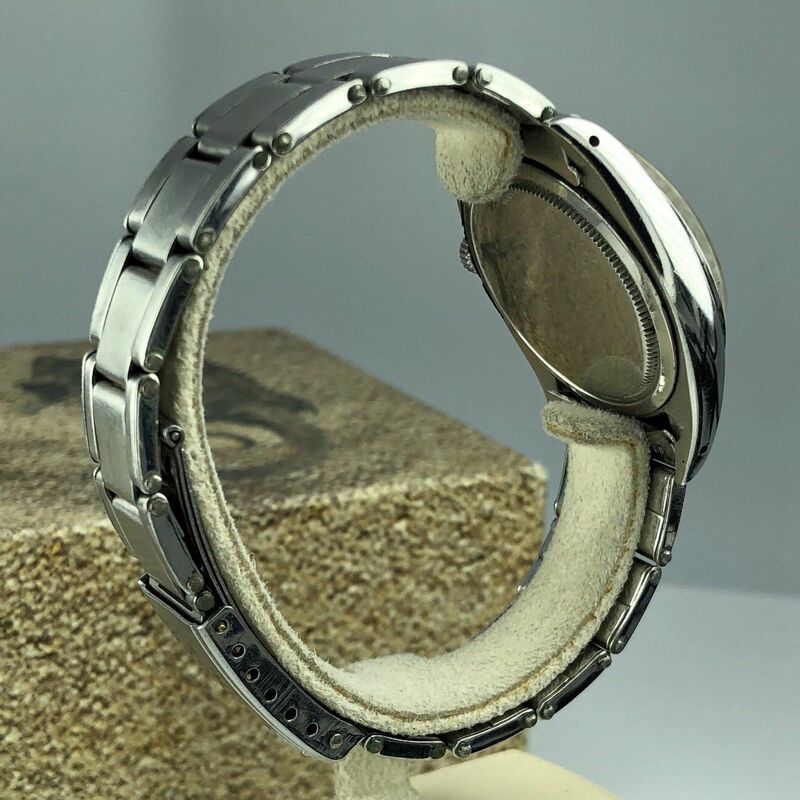 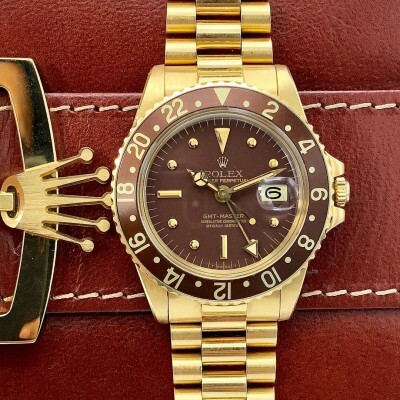 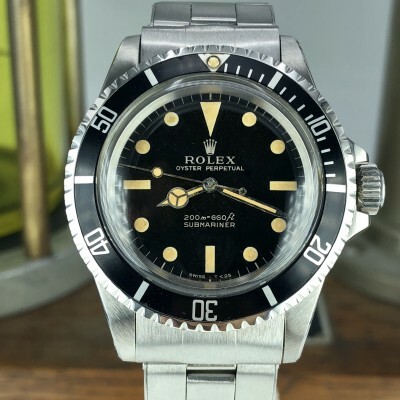 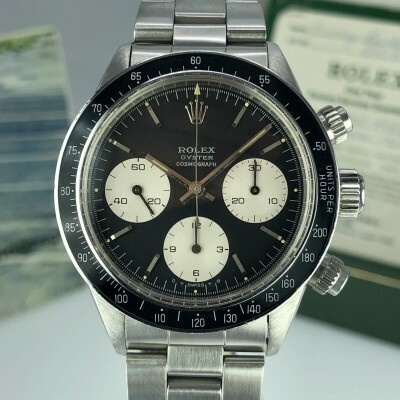 Original Rolex bracelet dated 1964. 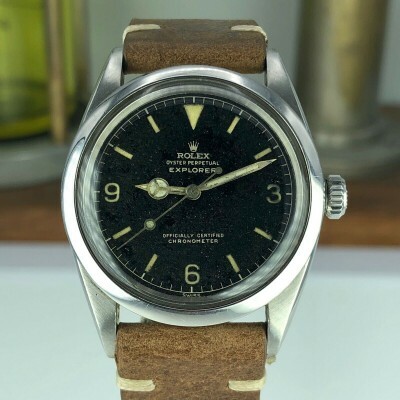 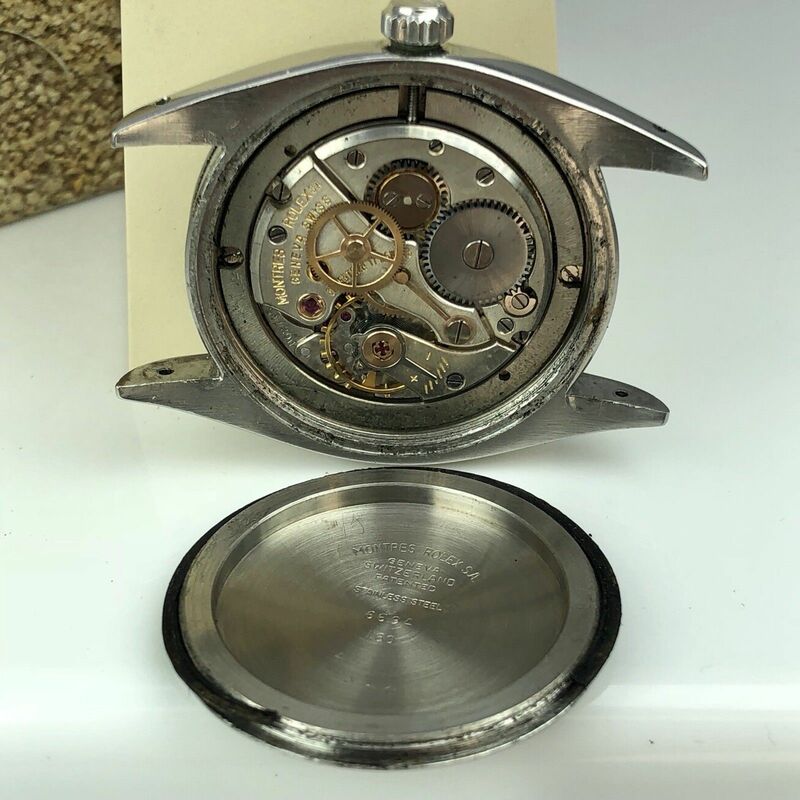 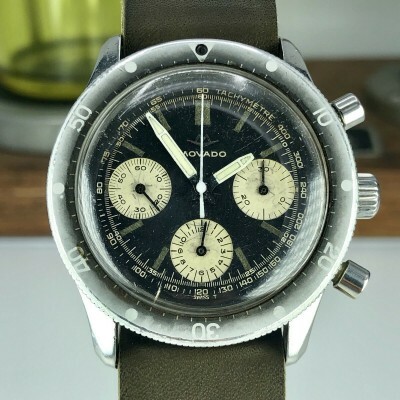 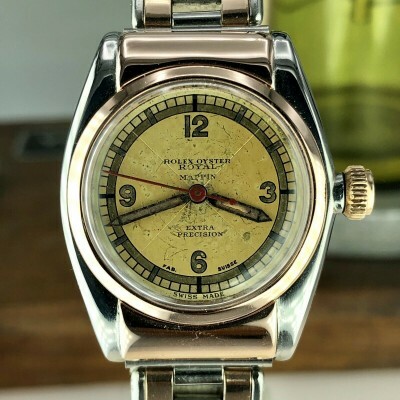 Original dial has been refinished long time ago. 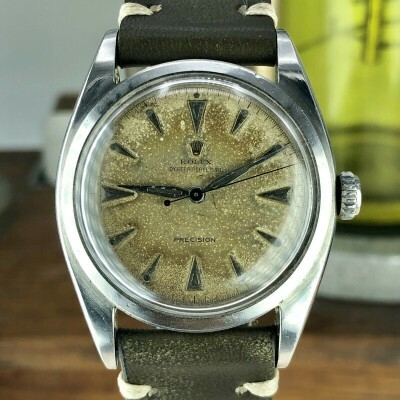 Comes with original dauphine hands and arrowhead markers.